A man takes my backpack at the Ocean Front Hotel in Colombo, Sri Lanka. “I am your butler,” he says. Mare and I look at each other, dumfounded. She has a butler too. 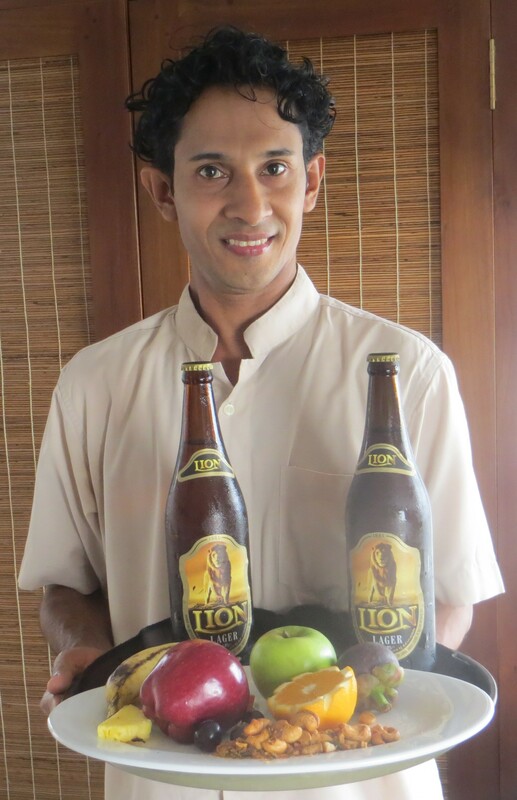 They bring beers and fresh fruit to our room. In the evening, they bring us prawn curry with many side dishes. The irony of having a butler lies in the stress it produces. I swear, he constantly appears and scares the crap out of me. I like him, but am trying to hide from him. I don’t think it’s supposed to work that way. Talk about extremes…from dusty desert in Mongolia, to Sri Lanka during the downpour of monsoon season. 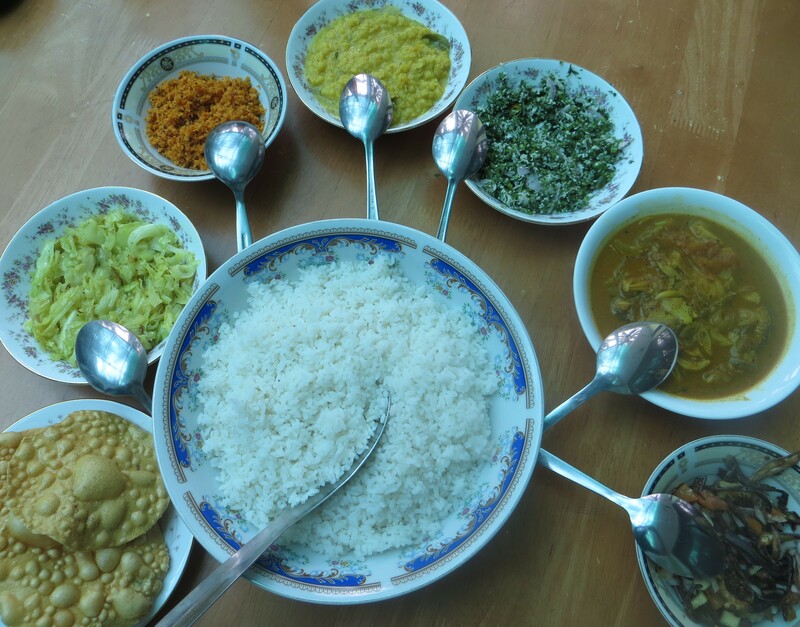 The food…from bland, boiled/grilled hunks of meat (Russia and Mongolia), to curry and chili that form beads of sweat on your forehead. 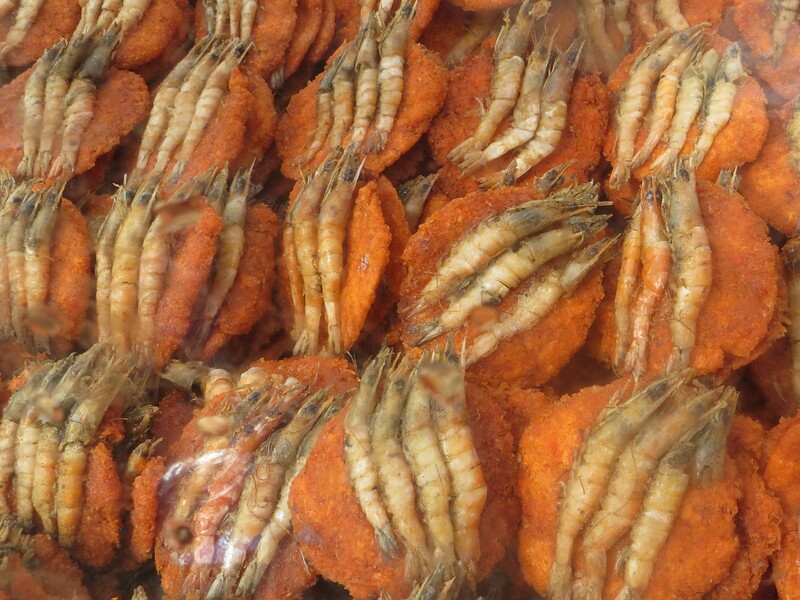 Bring on the lentils and prawns and vegetables! 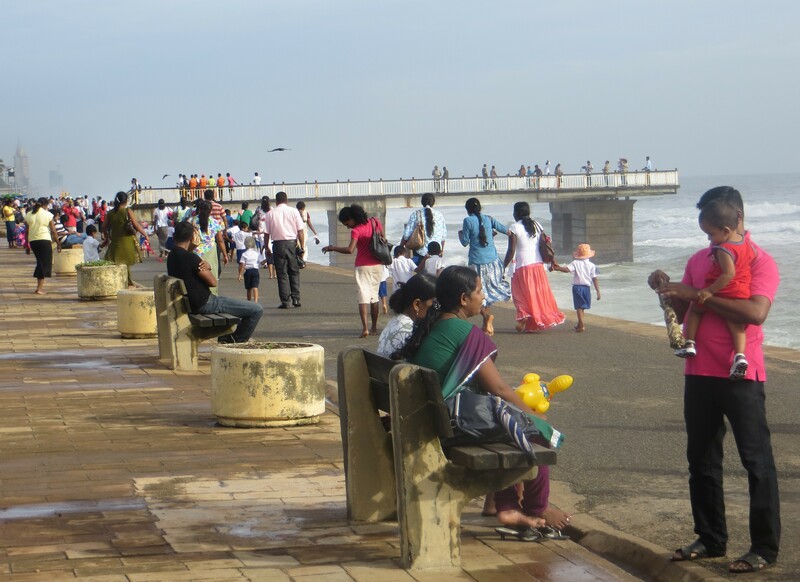 About 22 million people live in this island country of Sri Lanka. Most of them greet you with a smile and extreme friendliness. They have endured a 33-year war that ended just 4 years ago…not to mention a devastating tsunami about 10 years ago. What lies beneath those smiles? We can’t wait to escape into the jungles and beaches. 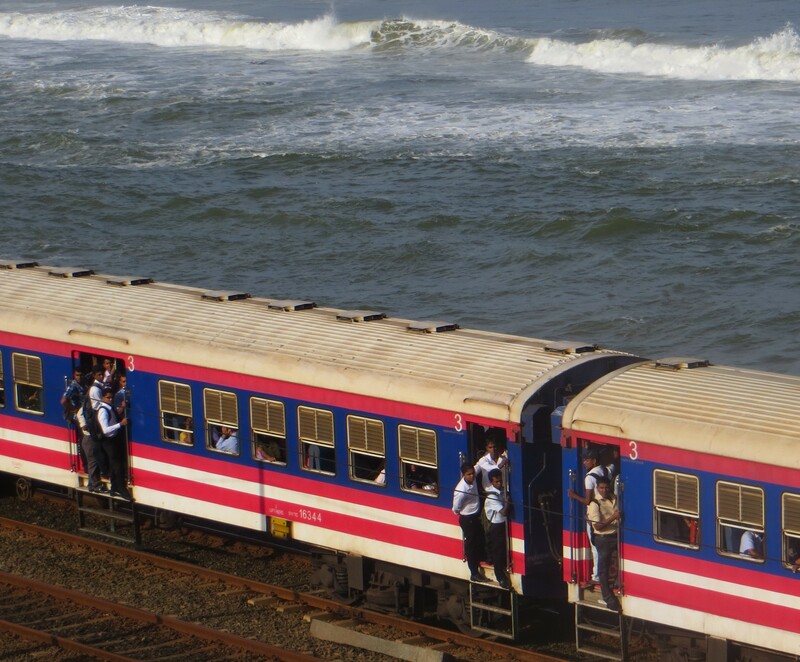 First, let’s enjoy Colombo, with waves crashing against the seawall where commuter trains roll along. Friendly people roam in a park full of stands cooking the popular kotthu rotti, which in this case is made with a spicy chopped lentil cake, fried and topped with prawns. At the train station, many people greet us with a smile and want to help. 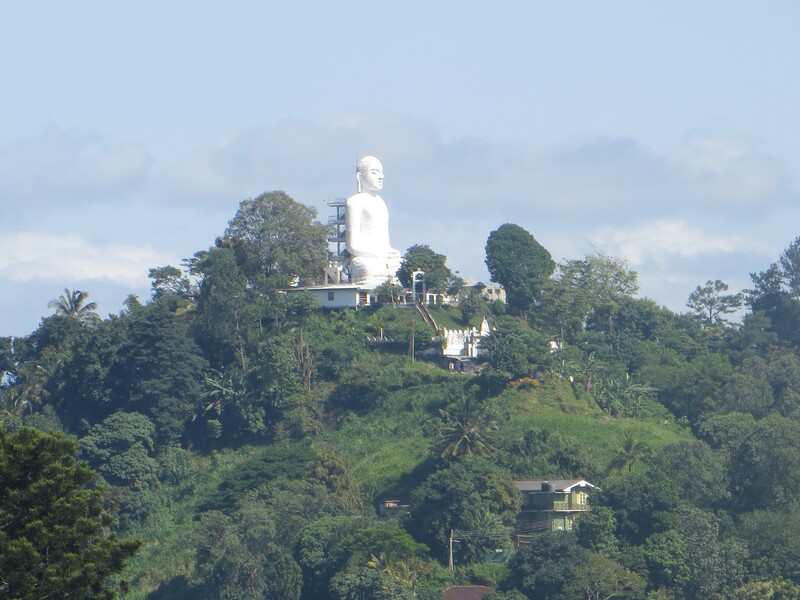 Despite some conflicting information, we successfully hop a train to the mountain town of Kandy, where we find a guesthouse along the Mahaweli River, the longest river in the country. 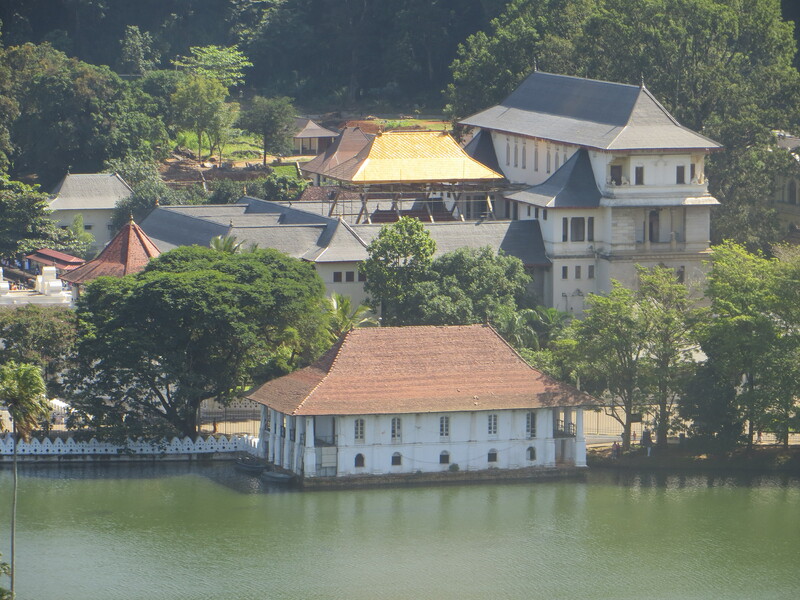 Sri Lanka’s most important Buddhist relic, a tooth of the Buddha, is enshrined under six golden dagoba’s (caskets) in “The Temple of the Sacred Tooth Relic” which sits on Kandy Lake. We opt to not visit, as you cannot actually see the tooth. This temple was bombed during the 33-year war, thus the enhanced security. 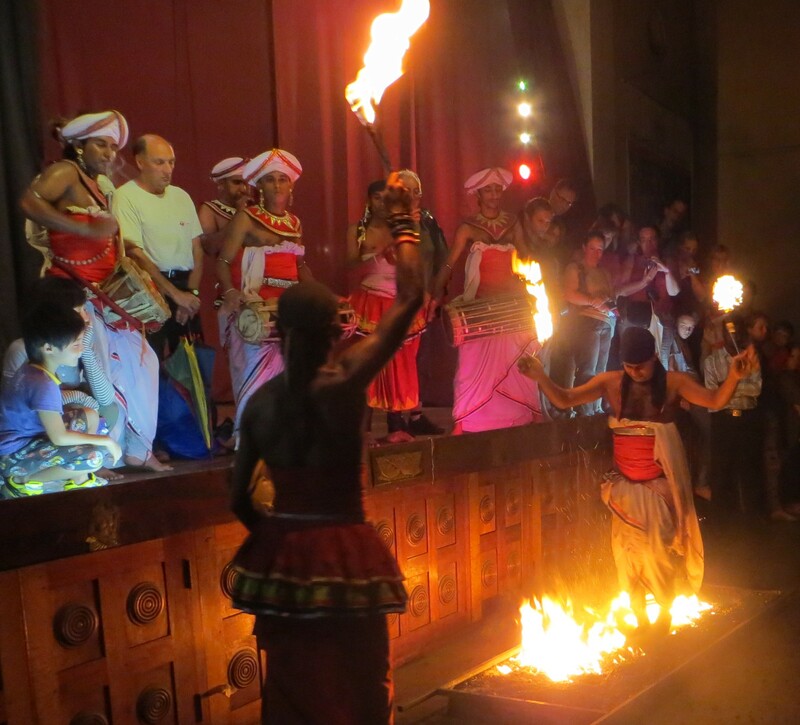 We opt instead to watch the Ragahala Kandyan Dancers & Drummers, with their show of colorful costumes, gymnastic dancing, and fire walking, in celebration and devotion to Lord Buddha. Our pleasure, Ann. Many temples, Buddhist, Hindu, and even Mosques. I think we will see much more of this in India. I think this is sooooo interesting..
Oh you just got me curious! Can’t wait to see the next post…mountains and tea! Sigh, turns out my August is going to be much slower workwise than I thought, everything slipping into September, so I could have joined you! Hmmmm. 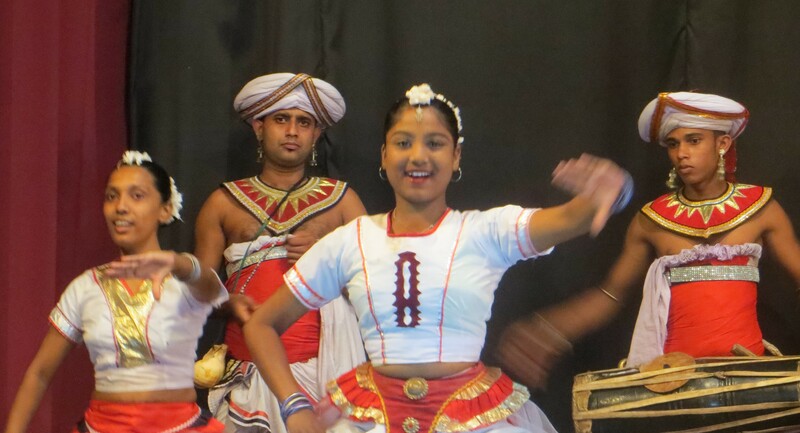 I find Sri Lanka so fascinating, have a former co-worker from there. Bucket list. Too bad, Jill. We are going to Mumbai, India tomorrow!